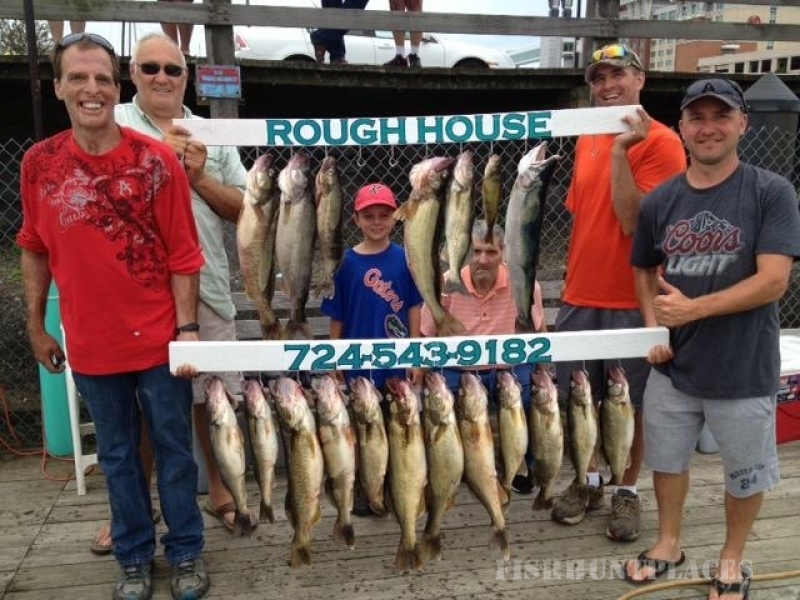 Rough House Charters specializes in Lake Erie fishing charters for Walleye, Perch, Lake Trout, Steelhead, and Smallmouth bass. 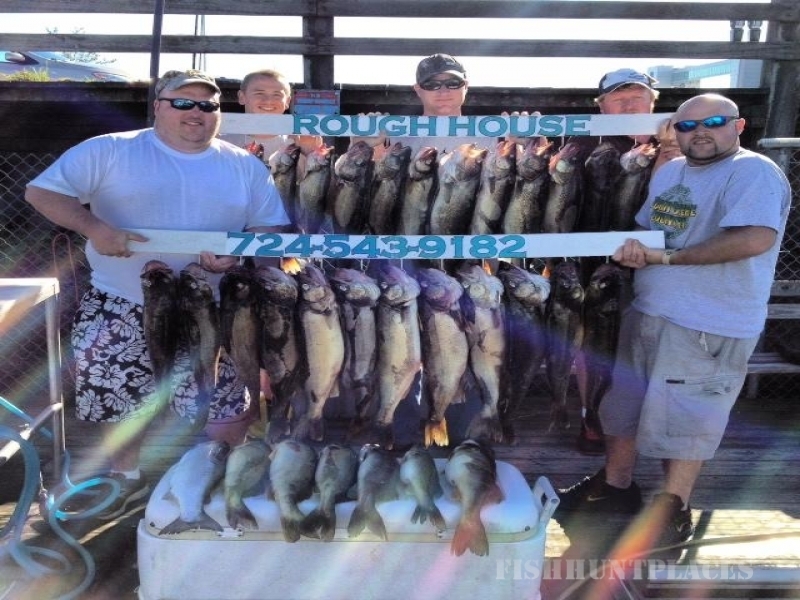 Rough House Charters fish the central and eastern PA. basins of Lake Erie, which is known for its trophy sized, quality fish. 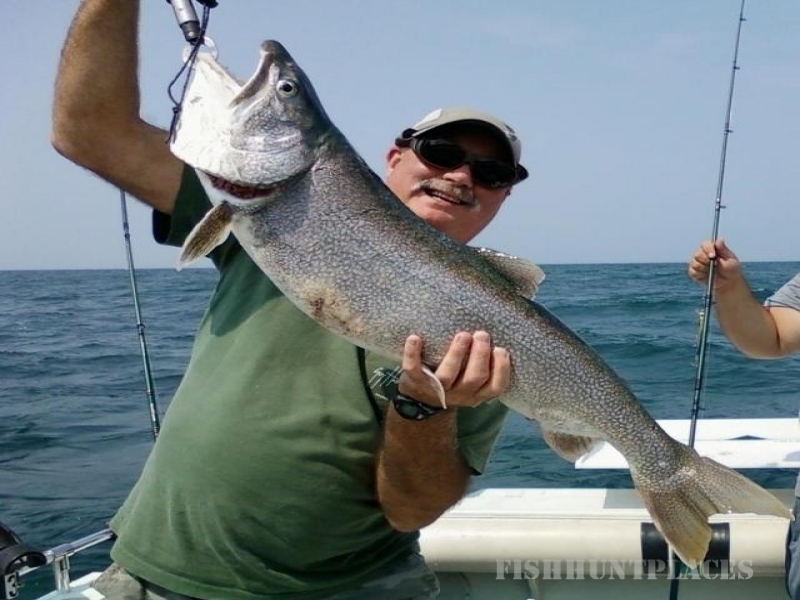 We utilize the latest in trolling techniques, baits, and quality equipment for targeting big Walleye, giant Lake Trout, hard fighting Smallmouth bass, and beautiful Steelhead. We have quality spinning rods and reels for targeting Perch and utilize specific baits for catching these species. We encourage our anglers to handle rods, set and reset lines, and be as much a part of the crew as we are. Not only is it a lifetime experience for you, but we feel its also a fun learning experience for everyone on board. Rough House Charters docks out of the East Canal Basin of Presque Isle, also known as Dobbins Landing, which is located in the town of Erie, PA. The East Canal Basin is located along State Street and is in close proximity to the Erie Maritime Museum and Hamot Hospital. The marina is owned and operated by the Port Authority of Erie. Free Parking is available at the dock and there are several restaurants, bars, and hotels in close proximity to East Canal Basin. Fishing Lake Erie can be challenging at times, especially when the weather hits. The Rough House is a 30ft. Baha Cruisers 299 Sport Fisherman with a 7.4 liter 454 Penta big block engine pushing out 330 HP. Baha Cruisers are designed specifically for navigating the Great Lakes and are extremely well built. The Rough House is extremely stable in rough water, giving a safe and dry comfortable ride, and has plenty of room to accommodate your fishing needs. If you happen to need more than one boat for your Lake Erie fishing charter, we can accommodate your party. We operate in conjunction with other charter captains in our marina. From executive business trips, to just a few friends or family members out for a day of Lake Erie fishing fun. Do you have kids? Well bring them!!! A Lake Erie Perch fishing charter is the perfect fishing charter for kids. There's nothing like a hungry school of Perch. Perch fishing charters are fun, there's a lot of fish, and plenty of action to keep your children excited and occupied for the duration of the trip. 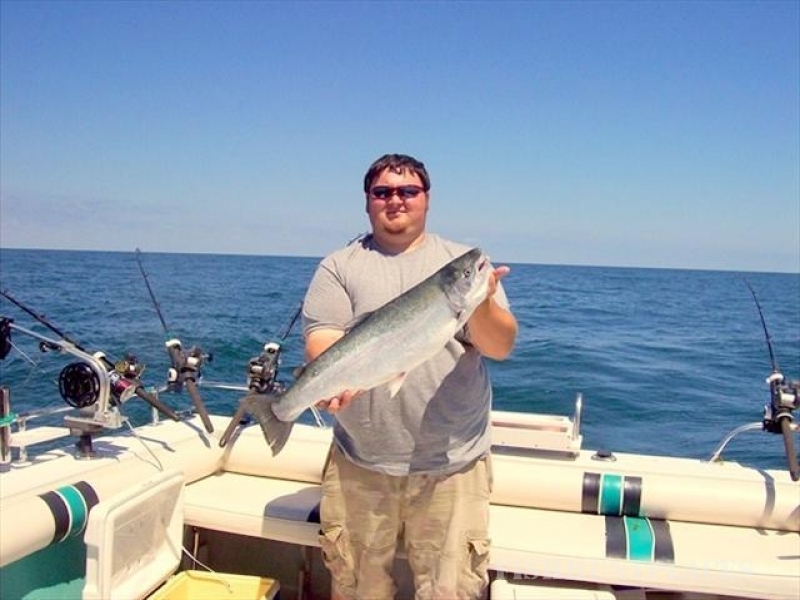 A Lake Erie fishing charter is a great getaway for the entire family or just a couple of friends. We have several different fishing packages to fit your fishing charter needs, as well as, nearby accommodations if your thinking about spending the weekend. Fishing charters create life long memories for everyone joining in on the experience. If your looking for a Lake Erie fishing charter give us a call or email us to schedule your next great fishing adventure!! !